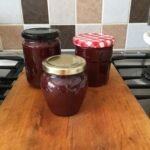 This year has seen me getting into jams and preserves a bit, trying to stockpile and squirrel up fruits of the season in many different forms for when they are distant memory and we are in depths of winter. Today’s recipe for Easy Homemade Plum & Chocolate Spread is inspired by one of my favourite Polish chocolates “Śliwka w Czekoladzie” which is a candied plum covered in good quality dark chocolate. It’s exquisite! The great thing about this spread is that it’s full of goodness with seasonal plums and lovely cacao which is full of wonderful antioxidants so eating it doesn’t need to be laden with guilt! Not that you should ever feel guilty when it comes to food! Everything in moderation rule and you are fine! This spread is also nut-free which might be important for those of you with allergies. I’ve used raw cacao in this recipe which I’ve discovered only recently and which is unprocessed and full of goodness in comparison to well known and widely used cocoa powder. You can of course use whichever one you want and/or have available. As with all the jams & preserves, try and use heavy-bottomed pan when making your spread. I’ve been using my Le Creuset cast iron casserole with great success although a proper preserving pan is on my Christmas wishlist. Make sure you sterilise your jars before filling so that your goodies last longer. My favourite way is popping them in dishwasher (together with lids) but you can always wash them by hand in hot and soapy water and pop them into 100C/212F/ Very Low oven for approx 30 min. Either way will do the trick. Do it as your spread is cooking and fill the jars whilst still hot and with hot spread. This plum and chocolate spread is much more forgiving than your usual jams or conserves and you can adjust the consistency as per your liking. The longer you cook it the thicker it gets. I find 30 min. for 1 kg/2.2lb plums gives me the consistency I like which is spreadable but still quite soft. Remember that it will thicken and set more as it cools. Feel free to use “cold plate test” detail of which you’ll find on recipe card below. Please note that if you make a double batch your timings will increase as well. We all have different sweet tooth hence some of you might want to use more and some less sugar in this recipe. I would say that starting point should be anything between 100-120g of sugar (1/2 -2/3 cup) and you can always add more if necessary (a lot will depend on how sweet your plums are). Halve the plums and remove their stones. Chop them into small chunks. Put plums into heavy bottomed pan with a splash of water. Simmer on low heat for approx. 10 min. Plums will start to break down and release their juices. Add sugar, vanilla & cacao/cocoa. Mix well and simmer another 5 min. Blend until smooth with stick blender. Put the pan back on low heat and simmer until it reaches desired consistency approx 30 min. “Cold plate test” for doneness. Pour your hot spread into prepared sterilised jars. Proper grown up plum & chocolate spread without any nasties that is also vegan, gluten-free and nut-free. Perfect on your morning toast, with porridge, pancakes, in cakes and muffins, you name it. Cut your plums in half and remove the stones. Chop plum halves into chunks and put them in a large, heavy-bottomed pan and add a splash of water. Preserving pan would be perfect here but any pan will do (I used my large cast iron casserole pan and it worked a treat). Let them simmer on a low heat for approx. 10 minutes until they release their juices and start to break down a bit. Add sugar, vanilla extract and cacao/cocoa and mix well. Let the mixture simmer for approx 5 minutes but keep an eye on it and don't let it catch at the bottom. Take the pan off the heat and onto a sturdy surface (I used my wooden chopping board) and using an immersion/stick blender puree the plum mixture until smooth. Put it back on low heat and simmer until it reaches desired consistency (for me it took 30 min). Make sure you keep checking on your mixture and giving it a stir every now and then. To check whether your plum & chocolate spread is ready you can do "cold plate test" where you place small plate into the freezer and when you see than your spread reduced and thickened simply put a small amount onto the very cold plate straight out our the freezer and put it in the fridge for a couple of minutes. If the spread thickens even more once cooled and as you push it with your finger it doesn't spread back that means it's ready. If you'd prefer thicker consistency let it bubble away for few more minutes. This spread is much more forgiving than jams and conserves and you can really rely on your own instinct here. it into your sterilised jars (it will thicken some more as it cools). Once ready pour your spread (still hot) into freshly sterilised jars and pop on the lids. Label once jars are completely cooled otherwise your labels will peel off. Store in cool cupboard, away from the heat for a few months and once opened keep in the fridge. Nutritional information is approximate and per jar based on 3 equal size jars and meant as a guideline only. I've made couple of batches of this spread using Victoria Plums for my first batch and Common Purple Plums for my second. Both types of plums work really well with this recipe but if I was to choose one, I would say go for purple plums. If you are making a batch using 1 k (2.2 lb) of plums starts with 100-120g (1/2 - 2/3 cup) of sugar. You can always add some more as you taste depending on your preferences but you cannot take it away! I used cacao instead of cocoa in this recipe which in very simple terms is raw, unprocessed, additive free and full of goodness and it can be used interchangeably with cocoa (processed version) depending on what you have available and/or what's your preference. Pin Easy Homemade Plum & Chocolate Spread for later! I’ve never had plum with chocolate. But the combination sounds so delicious & tempting. Lovely share! Thanks for sharing at Fiesta Friday! Thank you Balvinder! 🙂 This is actually a very popular combination of flavours in Poland but I have not come across it anywhere else. Such an interesting recipe – plums + chocolate! I wish I was still canning as I would love to taste this. I canned a lot of preserves/jams/jellies, veggies such as tomatoes and green beans and even chili. Never canned anything like this. Thanks for sharing – my canning cookbooks don’t have a recipe like this. Happy Fiesta Friday! Thanks Judith for your kind comment! 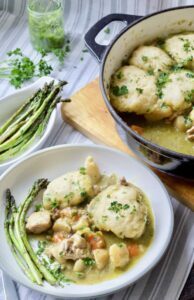 🙂 I’m really pleased this recipe caught your interest. The flavour combination even though sounding slightly unusual really works and I’ve managed to wow few friends with it too! 🙂 Happy Fiesta! This sounds so unusual but delicious! This sounds like such a delightful combination. I love the name plumella too! Thanks so much for sharing with #CookOnceEatTwice! Ive made plum jam this year but this looks delicious too I shall pin for future reference.